Price request for RM 39-01 Automatique Chronographe Flyback Aviation E6-BRef. 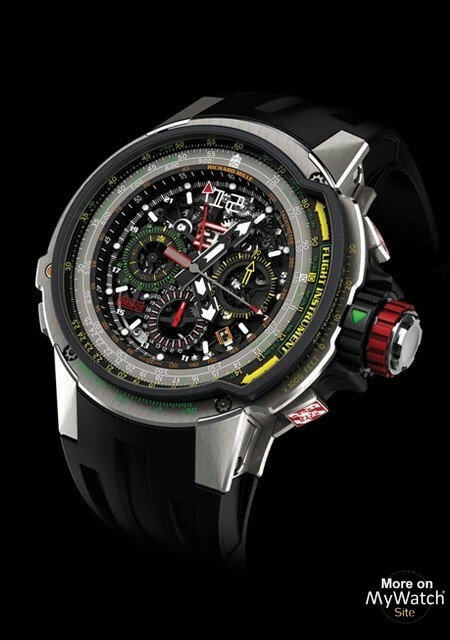 Aviation and aeronautics are sources of inspiration for Richard Mille and, as such, materials such as titanium, carbon nanofiber, orthorhombic titanium aluminide, ARCAP and tungsten carbide have all been used in the Richard Mille collection, making the leap from aeronautics to watchmaking. 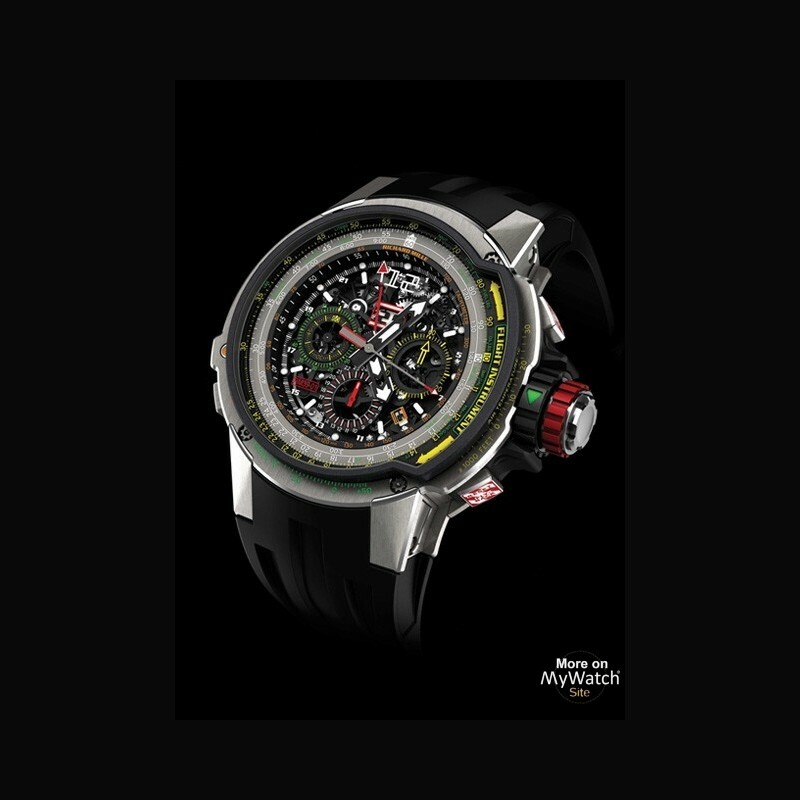 Richard Mille has thus been able to demonstrate the mechanical and aesthetic properties of these materials and prove the legitimacy of their use in the watchmaking world. The RM 39-01 is the direct descendant of the RM 039 Aviation watch, an ultra-complex tourbillon flyback caliber that contains no fewer than 1,000 components. The RM39-01 movement is designed as a flight navigation instrument. 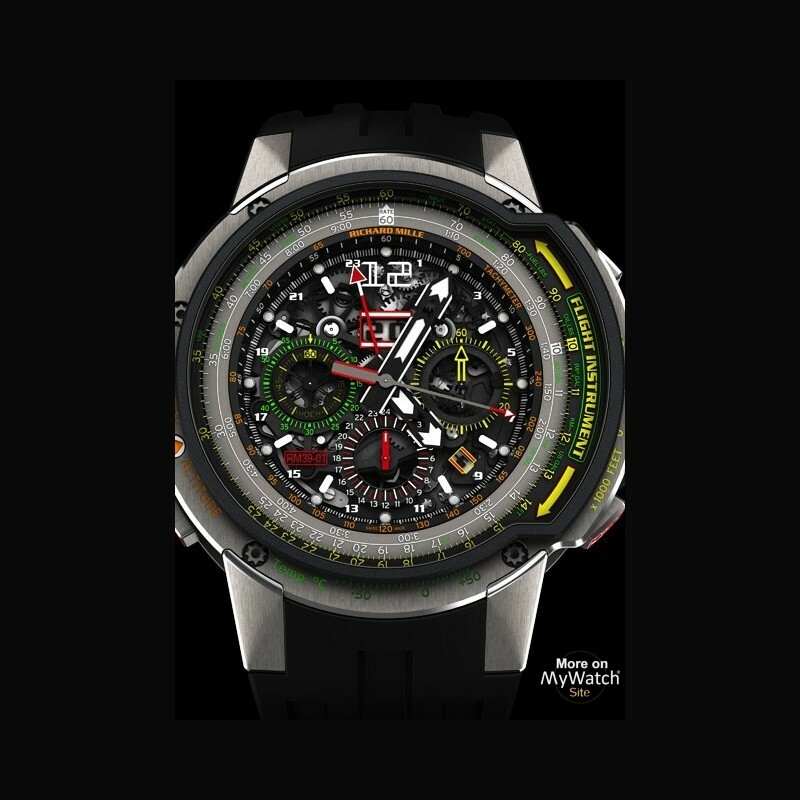 This highly technical and extremely sophisticated watch is a modern interpretation of a device that is essential for any experienced pilot: the E6B slide rule, invented in the 1930s in the United States by Lieutenant Philip Dalton. The E6B slide rule features a fixed bezel and bi-directional rotating bezel, both marked with several complex indications. It can be used to read and calculate fuel consumption, flight times, ground speed, density altitude and wind influence, and to convert units of measurement (knots/kms/gallons/ litres/ feet/kgs/lbs) quickly. This highly complex bezel required many months of research to ensure easy adjustment as well as optimal visibility of the different calculations and their results. 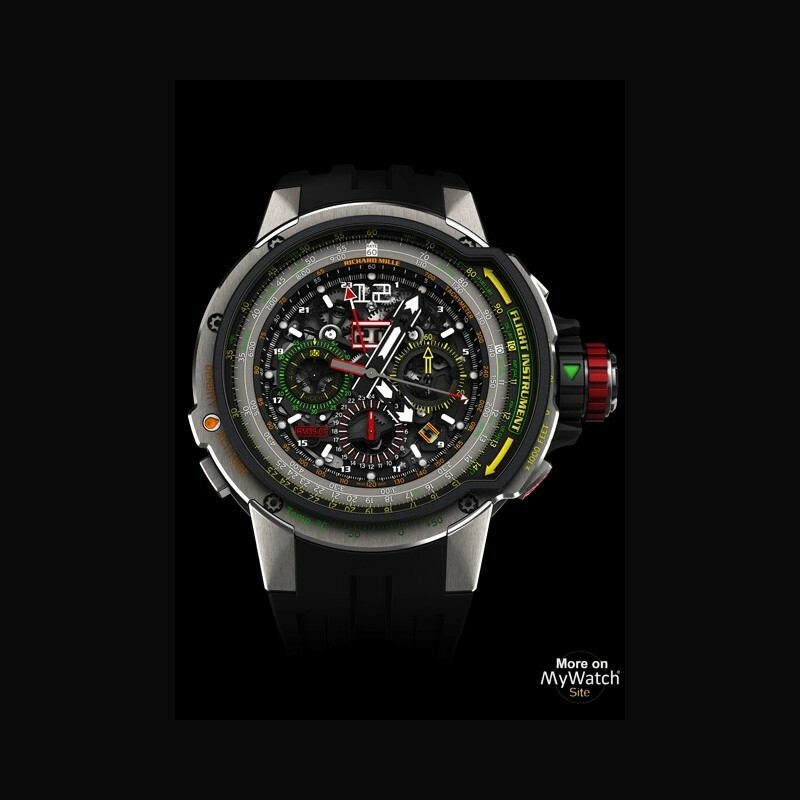 The new RM 39-01 provides pilots with a practical and rapid instrument for successively timing different durations in a number of directions. They can therefore receive departure signals issued by radio beacons without losing time or having to execute numerous operations on their watches. During flight preparation, the E6B slide rule therefore remains the most accurate device for determining required fuel load and density altitude (essential for take-off and landing). The E6B slide rule requires no power supply, making it an extremely safe-flight instrument for pilots, even today. 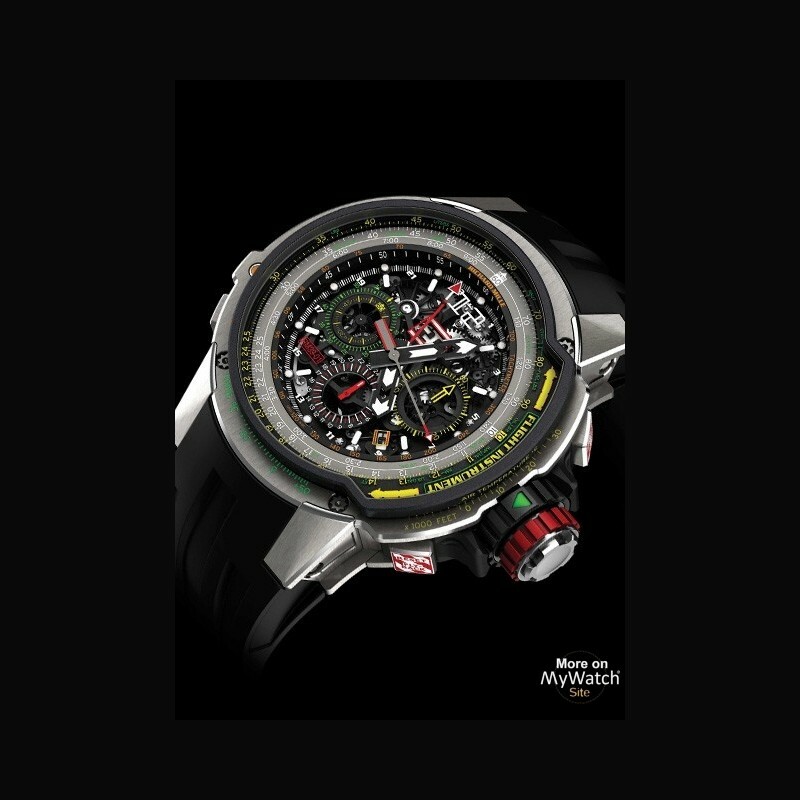 The RMAC2 automatic caliber which beats at the heart of the RM 39-01, features UTC and countdown functions, a flyback chronograph, an oversized date at 12 o’clock, a month display and a variable geometry rotor. 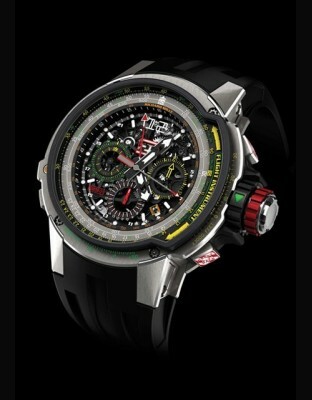 It has almost 620 components and 62 jewels, with a power reserve of 50 hours. This caliber also comes with a special function-locking mechanism. 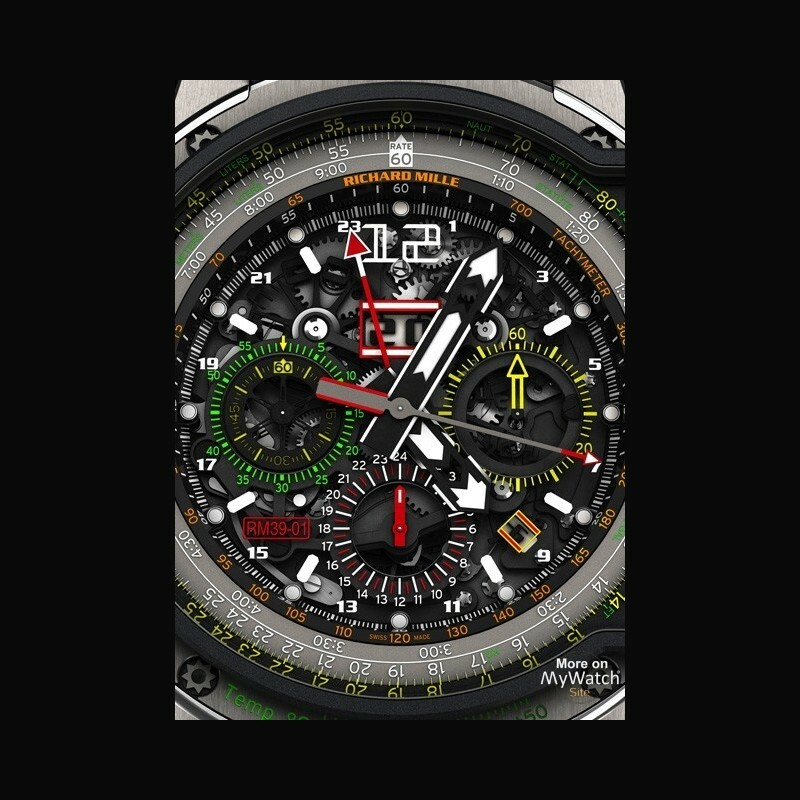 In order to prevent any accidental in-flight activation of the chronograph, Richard Mille has incorporated a locking crown which, by turning the ring, fixes the pushers and crown in place. The green and red markers indicate whether this is deactivated or running. This new Richard Mille caliber respects all the conventions and standards of fine watchmaking, thanks to the extremely close attention paid to every detail of the movement and the four-piece case, both remarkable for their exceptional finishes. In short, the RM 39-01 Aviation E6-B is the perfect blend of watchmaking and aeronautics.